A friend you can trust your secrets with. 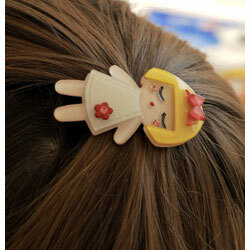 Little Girl clip with Swarovski crystals. 2" tall x 1" wide. CPSIA tested & certified.